Soft, supple texture. High protein, gluten free! The Chickpea Fusilli is a healthy and delicious mealtime choice that will simplify your life for the long run! With only four organic, whole food ingredients, this pasta contains 11g of protein and nearly 20% of your daily dietary fiber requirement per serving. 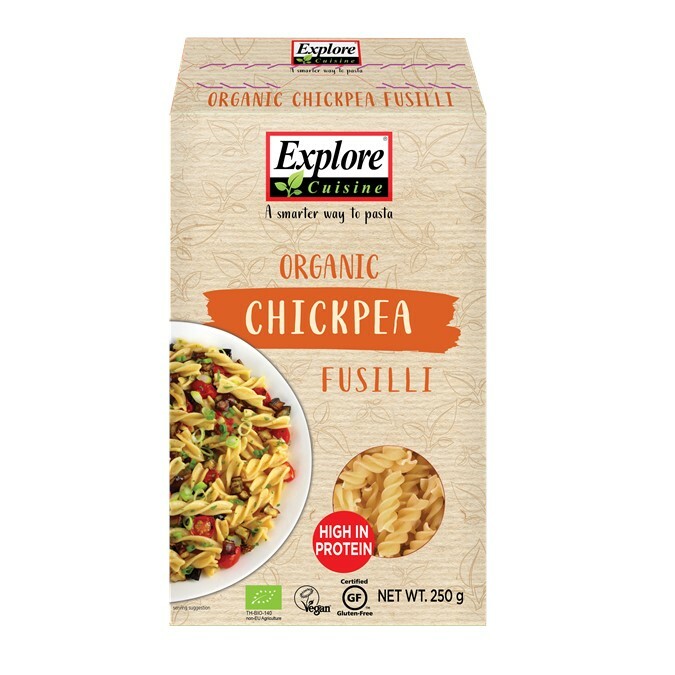 With its soft and supple texture, mild taste, this Explore Cuisine fusilli pasta is Chickpea Heaven! 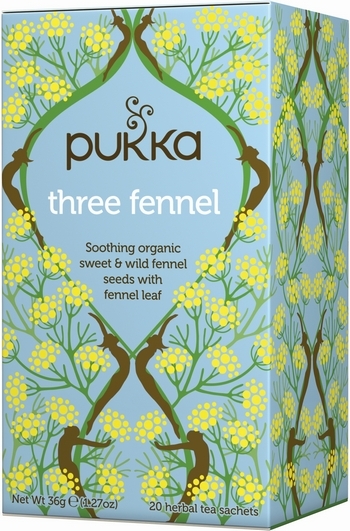 No artificial additives and colouring = organic and natural. How to enjoy: Bring 8 cups (2L) of water to boil. Add pasta. Reduce heat and simmer for 9-11 minutes. Drain. 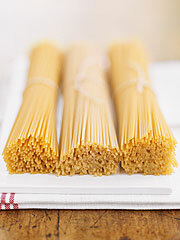 For a more al dente texture, rinse under cold water and then drain. Ingredients: Certified Organic Chick Pea Flour (60%), Organic Brown Rice Flour, Organic Tapioca Starch, Organic Pea Protein Flour. 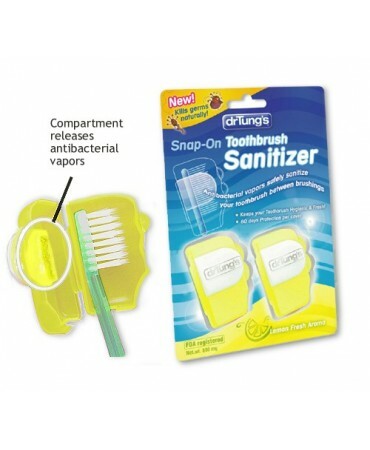 Store: Keep in a tightly sealed container in a cool, dark place. 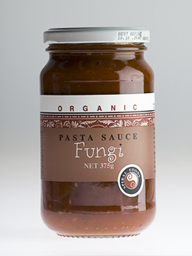 Origin: Italy with local and imported ingredients. Certification: ACO, USDA, Ecogruppo IT BIO 008, Gluten Free, Vegan, Non-GMO, Kosher Parve. 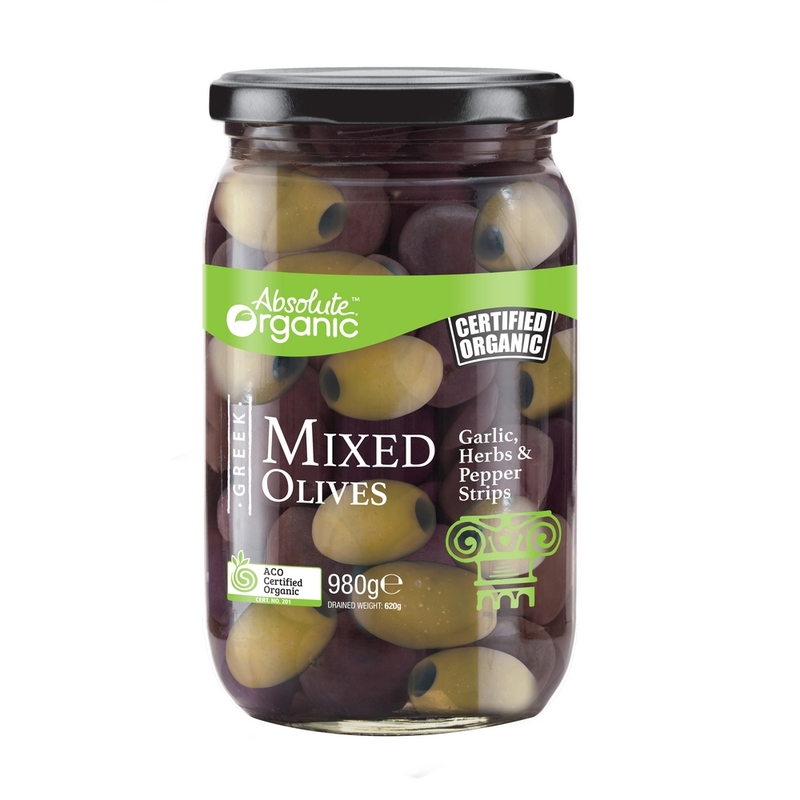 Dedicated to innovative cooking using organic ingredients of the highest quality. Explore Cuisine integrates beans, peas, lentils and rice to provide you and your family nourishing meals with are easy, quick, colorful and simply delicious! Explore Cuisine delivers affordable food by buying ingredients direct from the farmer and producing next to the fields. We are committed to fair trade and sustainable living so that everyone benefits along the way, from the field to your home! While exploring the Far East, our Founder, Joe Spronz, had a light-bulb moment! With new health trends and dietary needs on the rise, why not create a healthy, bean-based pasta that everyone’s been craving!? With a single idea to reinvent the pasta industry and inspiration from the soybean noodles he discovered on his trip to China, Joe made his way back to the United States to begin production; the Explore Cuisine brand was born! Explore Cuisine products are vegan, organic, gluten-free, and kosher, ensuring your health and igniting your taste buds! For example, our delicious bean pastas contain nearly 20-25 grams of protein per serving and are low in carbs and sodium while simultaneously containing a high fiber content. With Explore Cuisine, you’ll experience the incomparable taste of pasta with all the benefits of nutritious beans! Our hard-working, dynamic team is constantly exploring the globe to develop new and innovative products to bring to your dinner table. 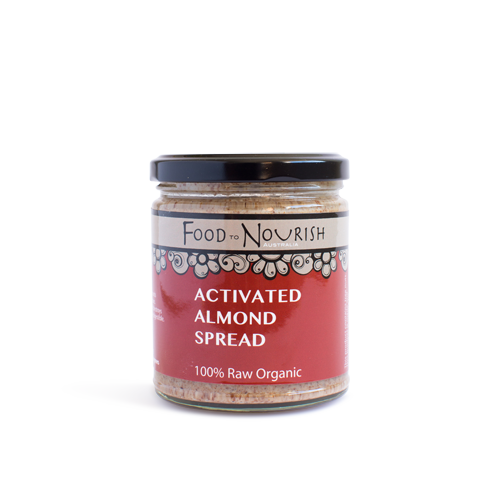 Searching high and low, we have discovered some of the best raw materials on the planet to create a variety of healthy and delicious meals for your dietary needs. Simply said, we are committed to keeping your heart healthy, your mind whole and your family happy . . . and to keep you coming back for more!